This is a video of yours truly delivering the explanatory portions of the workshop. There are no prerequisites. While the other Venture Design workshops are designed to precede this workshop, the workshop works fine on a stand-alone basis. Instructor notes: The checklists below describe ‘minimum viable preparation’ and additional related preparation. If you’re interested in the surrounding body of work on Venture Design, see that link and if you’re interested in a structure program for product design & entre/intra-preneurship, check out Startup Sprints. While Post-It’s are more in fashion for design workshop type events, these exercises are designed around index cards. The reason is that the students will progressively layer more information on to the cards. That said, use whatever works for you; just make sure to review the exercises and have advice for your participants on how they’ll organize their work. I do not recommend doing these on the computer- it tends to create writers block and a desire to create something more permanent than this material is meant to be. Since the workshop involves sitting down and creating storyboards, all the participants will need to have an idea to use. It doesn’t necessarily have to be in an advance state of planning- as long as they generally know what it is and who it’s for, I think you’ll find it’s sufficient. For those without an idea (or wondering what level of description will work), here are some sample ideas: Venture Concepts. For workshops, group exercises, and generally getting started with storyboarding, I like to use these paper squares and a sharpie/pen. The PDF you can download here has a set of typical scenes which you can print out and use. They do need to be cut or ripped since there are two/page. You’ll find cutting marks and the individual pages and what I actually like to do is use a metal ruler and just rip them (see left). I created them with the online tool, StoryboardThat.com and you may find you want to go there and create your own (not to mention creating digital storyboards once you’re ready). If you want to use the above squares in the PDF on Storyboardthat.com, you can copy the storyboard template using the preceding link. The workshop is hands-on and students should have an idea they’ll use through the exercises. Their own idea will be much better, but if they don’t have one there are a set of predefined ideas here: Venture Concepts.In a perfect world, the students review these and select an idea in advance (so they’re already a little familiar with it before they start the workshop). Make sure the participants are clear that a product will have many epics and that the epic isn’t a kind of summary story for the whole product. For some reason, this misunderstanding occurs a lot. I’m working on a solution. If the students aren’t online with a computer, it’s best to just skip this and leave it for them to think about. Or, if you’re in a very small group, do it together off of the projector or shared computer. 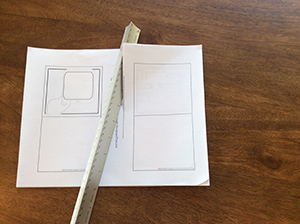 If adding Balsamiq isn’t desired, use any tool- pencil and paper is fine. The less structure the tool has, the more you’ll want to get the students to anchor their draft in comp’s and existing UI metaphors. There are a series of exercises mentioned here. They’re not part of the 2 hour design, but if you have more time you may want to have the students do them in class. It will add roughly 30 minutes to the session time.